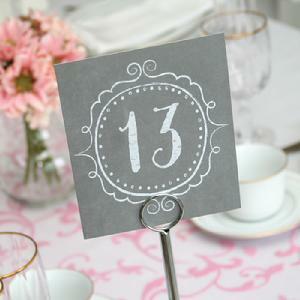 35083 - Distressed grey, two-sided cards with table numbers 1-40 printed on both sides in white ink. 6" x 5". Stand sold separately.